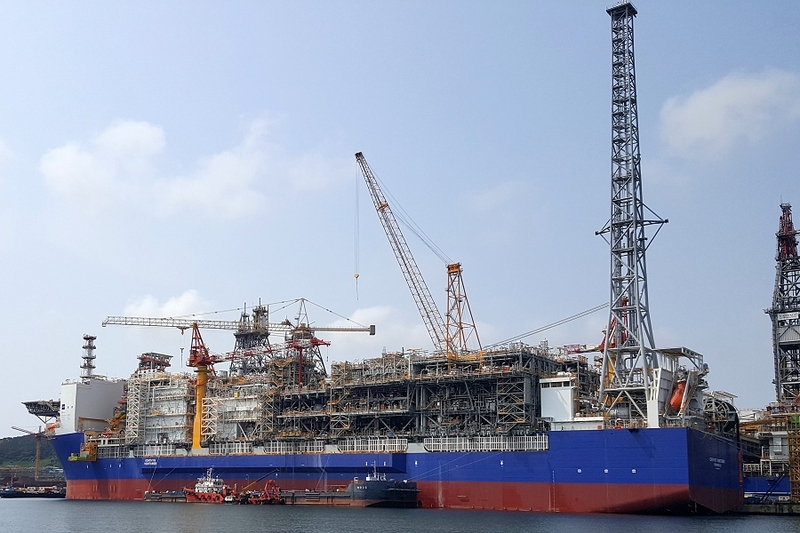 "Ichthys Venturer", this FPSO, part of the huge INPEX "Ichthys" LNG project, will soon be delivered at Daewoo shipyard. 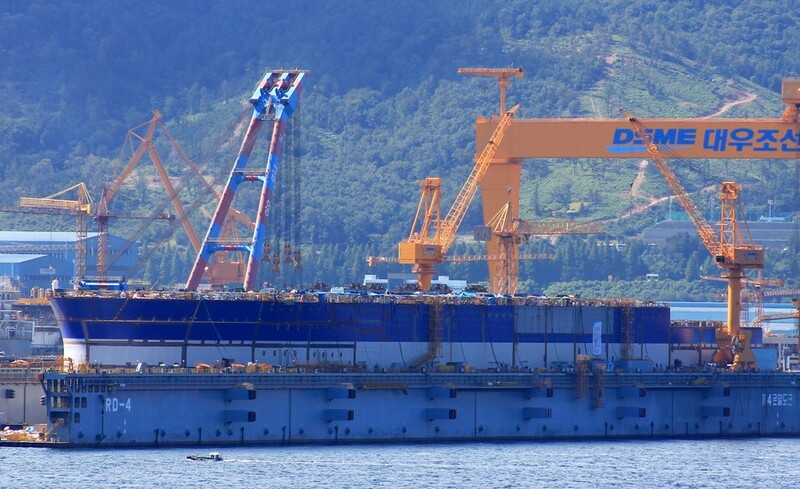 Triple Es in this giant floating dock, September 13th, 2014. No further info known ! !